Description: Bought new for £7,445 in Jan 2018, in excellent condition. Mattress unused. 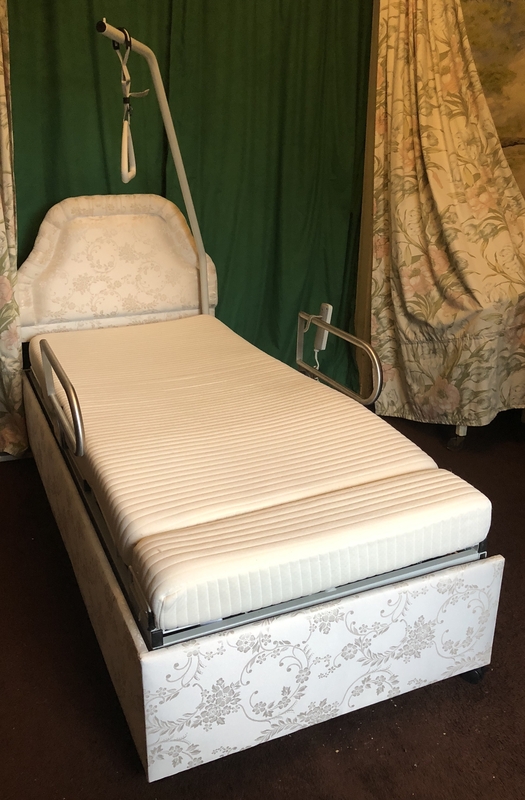 Electric adjustable TURNING bed, right hand turn. With hoist and upholstered head board. Buyer collects (will need to be dismantled and re-assembled).